Keeping accurate scores for cricket is essential as well as important. In the present time, it is far much easier to manage to do this, and all this is with the help of cricket scoring software that is available to assist us in this. In this article, we will line-up as well as give detailed reviews on this same. This is meant to give an insight to the users of the software in this category. Total Cricket Scorer is a cricket scoring software. The software is very detailed and comes with some of the leading features that will ensure that your experience with it is totally exceptional. The software is easy to use and can project live scores be being online and it is more than just a scoreboard. BICS cricket scoring software is very simple and thus suitable for users of all levels and at the same time it brings an affordable option among the software in this category. The software offers an interactive user experience, and it is constantly developed. 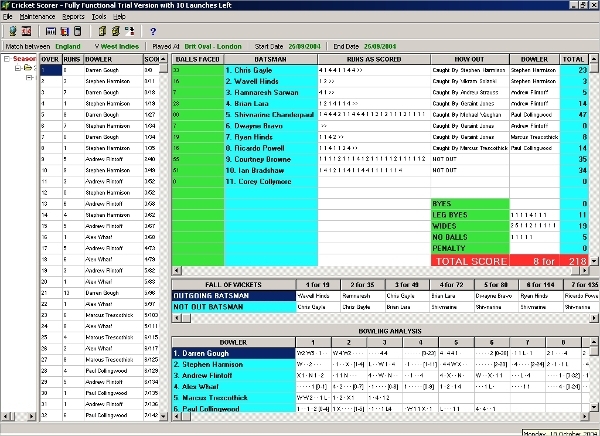 Cricket Scorer offers a comprehensive scorebook for cricket games. As a result, it is ideal for institutions, cricket clubs, associations as well as any entity interested in keeping complete records of the cricket games played. With this software, the processes of keeping track of scores are made easy and some functions automated. 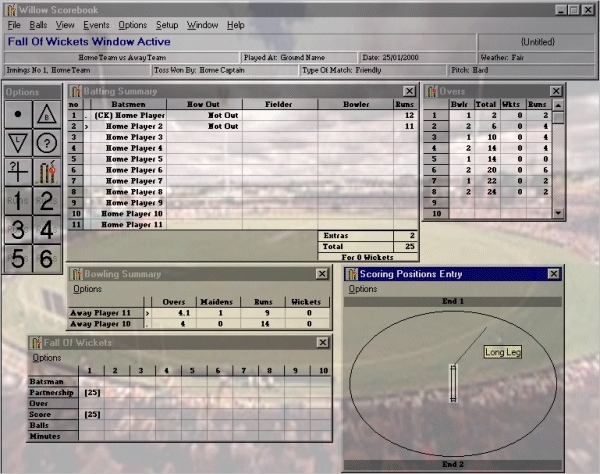 Most of the software in the category of cricket scoring tools come as standalone applications. As a result, it is critical to ensure that the software you prefer is supported by your platform. Failure to this will mean that the software will not run. WILLOW CRICKET SCOREBOOK is a cricket scoring software that is available and used by some of the leading cricket associations on the globe. It is easy to use and has been developed with the scorekeepers in mind to ensure all aspects of scores are taken care of. 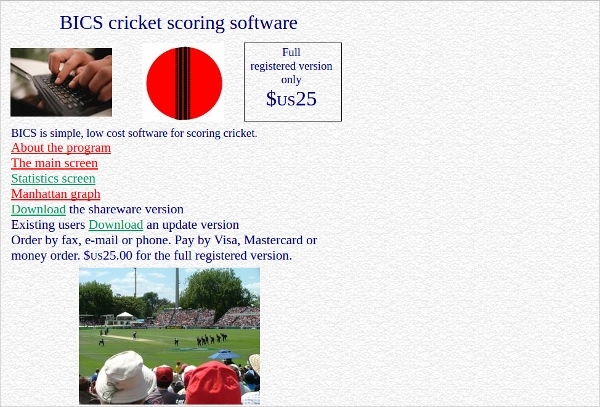 Cricket Score Sheet is a cricket scoring software that is designed to work on the Mac platform. With this application, it is very easy to manage the scores of your team. Essentially, the software works like an electronic paper while filling is done. After this, you can email or even print the sheet. Cricket Statistics is a leading cricket scoring software that is designed for the Windows platform. With this software, it is possible to achieve a lot more with your cricket club or institution. This is a premium software and has a trial duration for which users are encouraged to sample before purchasing. 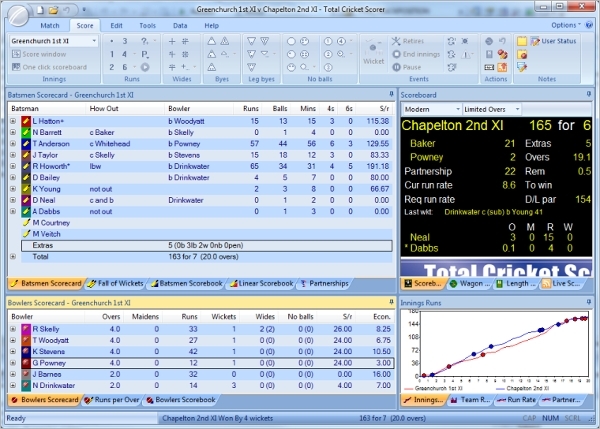 Cricket Statz is a popular cricket scoring software that is recommended for leagues, associations, teams, and clubs. The software is purely professional and is ideal for the generation of advanced statistics on the various aspects of a game. You also get the benefit of enjoying a free trial prior to making a purchase. What is Cricket Scoring Software? 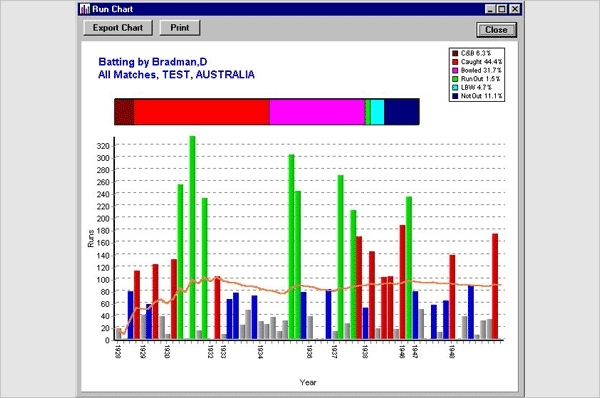 With a cricket scoring software, it is easy and possible to perform complex statistical analysis of the games even played over a long period of time. The software is quite diverse, and one should always keep this in mind as they come with different features. In the spirit of making thing easy and coming up with better statistics on cricket games, it is fundamental to have a software to assist in this. 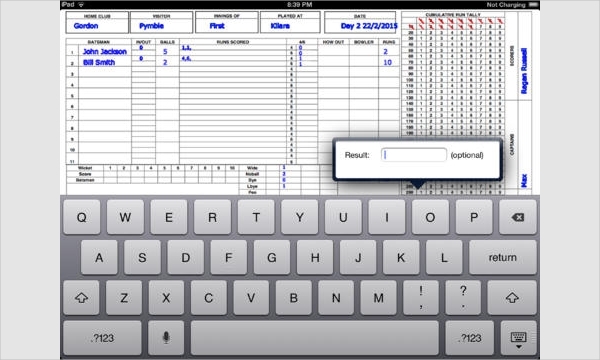 Unlike the use of scorebooks, the use of software ensures consistency and even in some cases backup, and this is why it is recommended.